Jane presents with generalised low tone and as a result has poor head and trunk control. Jane is unable to sit independently, has decreased upper limb strength and she finds it difficult to initiate movements. Jane is currently at level IV on the Gross Motor Classification Scale (GMFCS). Jane attends Occupational Therapy, Physical therapy and Speech and language therapy sessions. Jane’s physical therapist found Scooot on the Firefly website and wanted to try it out with Jane. Due to Jane’s poor trunk control she required the use of the advanced backrest to give her extra support when sitting. Jane switches between the ride and crawl configurations to help develop her core strength and shoulder stability. For the first six months of Jane attending physical therapy she made little or no progress, and a lot of time was spent trying to improve her head and trunk control. From using Scooot (for the past two months) Jane can now sit unsupported for over one minute. 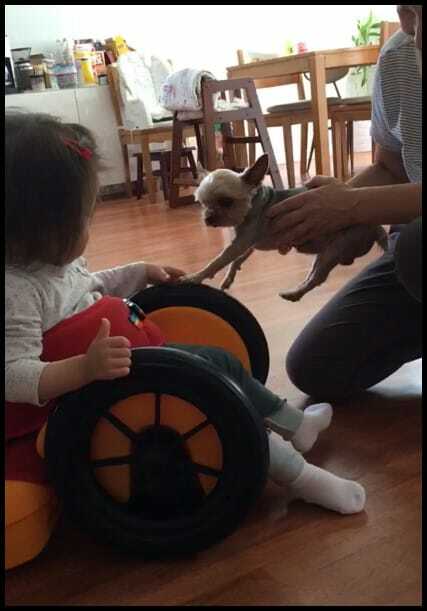 She is able to place and use her arms to propel the wheels of the Scooot and therefore access interesting activities around her house. Scooot allows Jane to move with even the smallest of movements in her arms or legs. This helps to motivate and encourage her to persevere with tasks that she may find more challenging. Jane spends lots of time on her tummy when playing with toys or trying to move towards her grandmother. 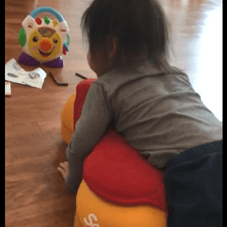 Scooot promotes a level of independence in this crawl configuration as it provides support under the trunk and pelvis and makes it easier to push with arms and legs. 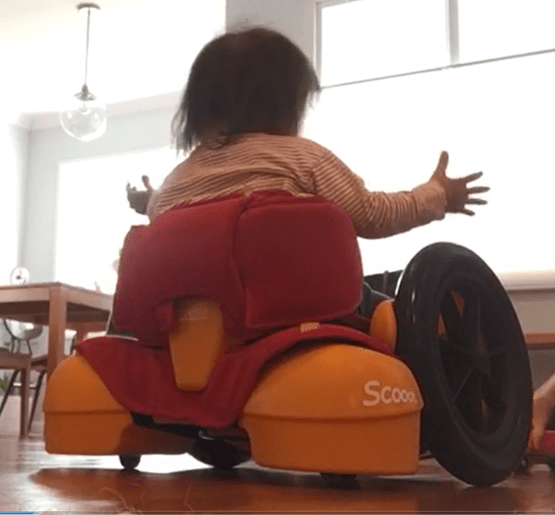 The wheels reduce the effort she requires to crawl, and encouraging participation in activities whilst in prone (tummy time) helps to develop her head control. Developing upper limb strength has helped increase Jane’s independence and ability within Occupational Therapy sessions. Scooot has helped develop Jane’s sitting tolerance and static balance which are skills required to participate in everyday activities. 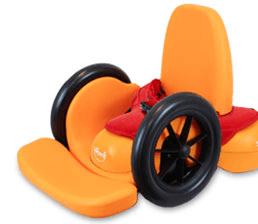 In the ride configuration the advanced backrest provides extra support around Jane’s trunk, which enables her to use her energy on a fun activity rather than on maintaining an upright position. 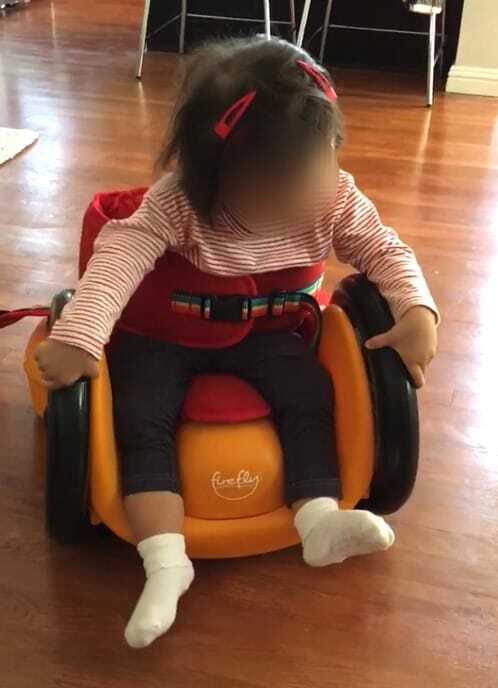 Jane’s therapists and parents have found Scooot to be very useful because they “can let Jane explore her environment knowing she is safely secured on the Scooot rather than setting up various safely secured seats or supports around the house for her to use. This makes participation in activities more accessible”.